The hostel is located in Calendasco 10 km from Piacenza. The Tre Corone, AIG Official Youth Hostel, is situated right on the Crusade trail ( the 'Via Francigena' ) from Canterbury to Rome, just 1 km from the majestic river Po, in the tranquil village of Calendasco, on the outskirts of the City of Piacenza just 50 miles south-east of Milan. 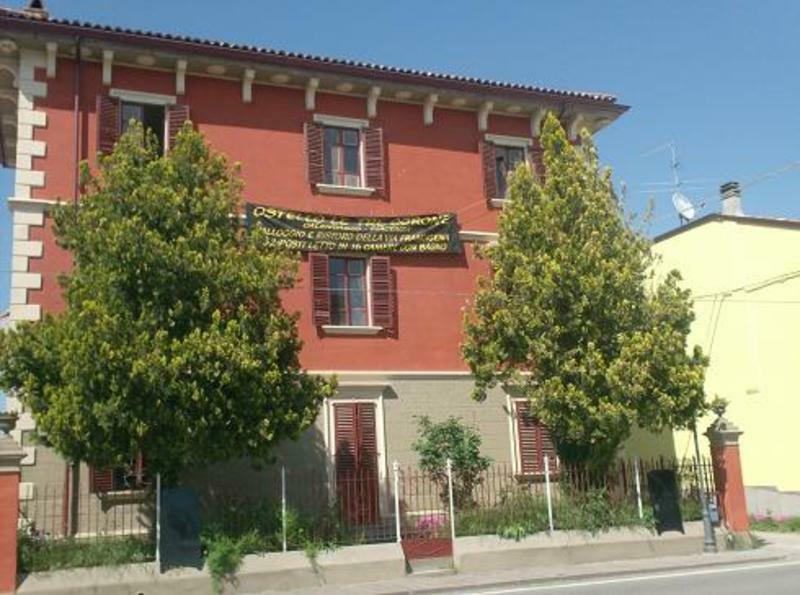 The property is located at about 10km from Piacenza's city centre. There are 50 beds in 10 rooms, 2, 3, 4, 6 bed, most of which are en suite. Accommodation is in private or shared room based on bed only, B&B, half and full board. Standard continental breakfast, full English-American breakfast and German Frhstuck available with advance notice and with surcharge. Italian breakfast available at the bar at standard rates. Packed lunches available on request. Facilities in the hostel include a garden space for leisure and games, internal and external parking, lounge, porch, fully licensed restaurant, bar, BBQ area and tea-garden. Disabled room and disabled toilet available on the ground floor. In the immediate vicinity (3 mins walk) there is a superb open-air swimming pool complex (open mid-May to early September, closes at 8 pm) which offers discounts to hostel residents. Other sports facilities within walking distance include tennis courts, volleyball/basketball courts, football/rugby pitches, two equestrian centres and extensive cycle paths. Local inns offer ancillary services such as horse- drawn carriage picnic trips and ferry boat trips along/across the river Po from 10,00 per person. The Tre Corone (the Three Crowns) is in the region of Emilia-Romagna, famous for its tradition of superb food and excellent wines. In the hostel restaurant, you can sample local and international cuisine from both the set and la carte menus. Prices range from three course meals from 15.00 or la carte menues, snacks and bbq. Special prices for official pilgrims on accommodation & meals. Furthermore, within a radius of 2 km, there are at least 6 other establishments we would recommend for their fine wines and succulent dishes - all at extremely reasonable prices. The Tre Corone staff is Italian and English with good language skills in French, Spanish and German.